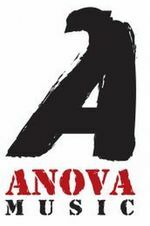 The Israeli music production company Anova Productions Ltd. was established in 2006 with the goal of representing and promoting top Israeli alternative/independent rock and folk music talent in the local and international music market. AnovA's primary aim is to advance Israeli popular musical art by departing from mainstream commercially-oriented management/record company strategies and focusing on artistic development. AnovA believes that through support of the artistic process, its artists will continue to create and record new material of the highest caliber.